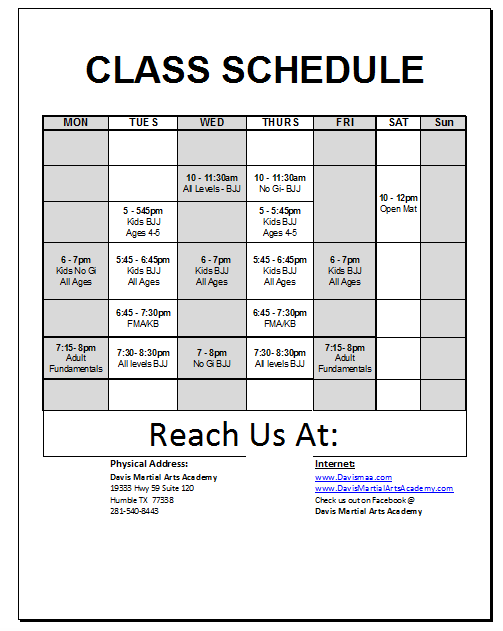 What if I told you, what you experience at Davis Martial Arts, will change your life! That’s our goal. To change lives. At Davis Martial Arts you will have the opportunity to grow not only physically, but mentally as well. Through our Jiujitsu, Kickboxing and Filipino Martial Arts programs, the opportunity for growth is beyond even your own expectations. While training at Davis Martial Arts, you will build physical strength and endurance, take on leadership roles, and build relationships with instructors, training partners and even opponents. Build confidence and respect within yourself. You will find within yourself, a strength you did not know existed. Jiujitsu: A grappling art that promotes the concept that a smaller, weaker person can successfully defend against a bigger, stronger opponent by using technique and leverage rather than strength or brute force. By taking the fight to the ground, (our ocean, where we are SHARKS and the average person can barely swim) you will learn to apply joint-locks and chokeholds to defeat your opponent. Sparring (commonly referred to as "rolling") and live drilling play a major role in training. Jiu-jitsu is not solely a martial art, it is also a sport; a method for promoting physical fitness and building character in everyone; and, ultimately, A WAY OF LIFE. Kickboxing: A combat sport of Thailand that uses stand-up striking along with various clinching techniques. Known as "the art of eight limbs" because it is characterized by the combined use of fists, elbows, knees, and shins. Almost all techniques in Muay Thai use the entire body movement, rotating the hip with each kick, punch, elbow and block. Muay Thai has a heavy focus on body conditioning. Muay Thai is specifically designed to promote a high level of fitness and endurance. Filipino Martial Arts: Devised in the Philippines. It incorporates elements from both Western and Eastern Martial Arts. Filipino martial artists are noted for their ability to fight with weapons or empty hands interchangeably and their ability to turn ordinary household items into lethal weapons. Weapons-training takes precedence because this gives an edge in real fights and gears students to psychologically face armed opponents. Empty hands training is then taught as the stick is merely an extension of the hand. Respect. Self-confidence. Self-control. Discipline. These are all things that are inherent in Martial Arts training. We hold these values high as part of not only our training, but for everyday life. All of this and more awaits those who wish to challenge themselves, here at Davis Martial Arts!